LAST MAN STANDING returns to television (on Fox; it was canceled by ABC in 2017), and the Tim Allen-led comedy is going to have a little fun with its rebirth. LAST MAN STANDING: L-R: Tim Allen, Nancy Travis and Christoph Sanders in the "Welcome Baxter" season premiere episode of LAST MAN STANDING airing Friday, September 28 (8:00-8:30 PM ET/PT) on FOX. CR: FOX. © 2017 FOX Broadcasting. LAST MAN STANDING is making the move from ABC to Fox this fall, with nearly the entire original cast intact. 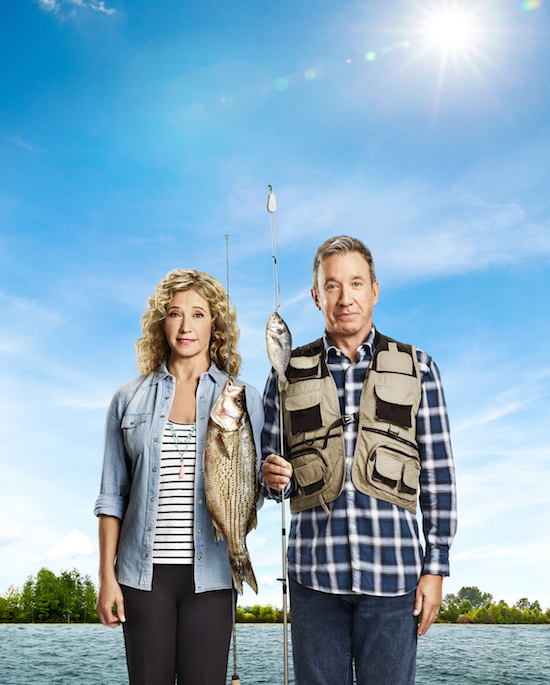 Check out the cast photos of stars Tim Allen, Nancy Travis, Amanda Fuller, Johnathan Adams, Hector Elizondo, Jordan Masterson, and Christoph Sanders. LAST MAN STANDING: L-R: Tim Allen and Nancy Travis. CR: Elisabeth Caren / FOX. © 2018 FOX Broadcasting.